Do you love painting but haven't touched paints and brushes in years? Here's the perfect chance to explore your creativity with your inner artist and create a beautiful colourful acrylic painting. You will be guided step by step. 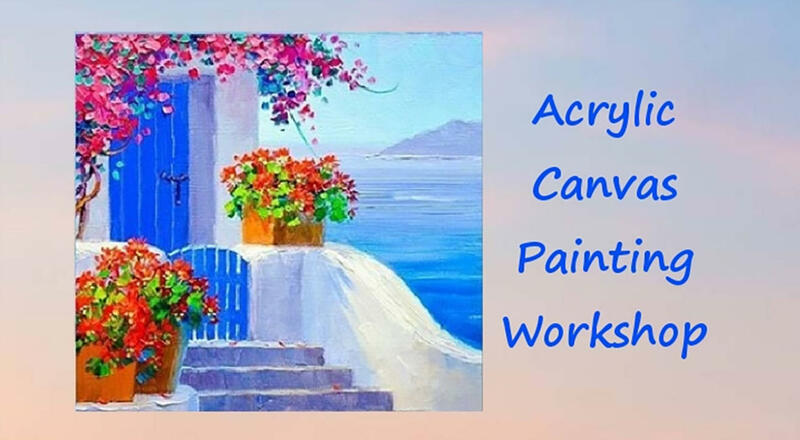 The workshop will shed knowledge on basic strokes and techniques to use acrylic paint. Don't worry, no prior experience in drawing/painting is needed. Beginners, non-painters as well as artists are welcome. All the art materials will be provided along with food and beverage worth Rs 300/-. Come, experience this colourful, fun activity. Take home and decorate your space with your own beautiful masterpiece. Damini Sargam is a professional artist based in Mumbai, working for clients based in India, Germany and Switzerland. She specializes in making oil paintings, portraits, human figures, landscapes, theme based and abstract paintings.